You must make bookings at least 5 minutes in advance of the time at Toro Dorado. 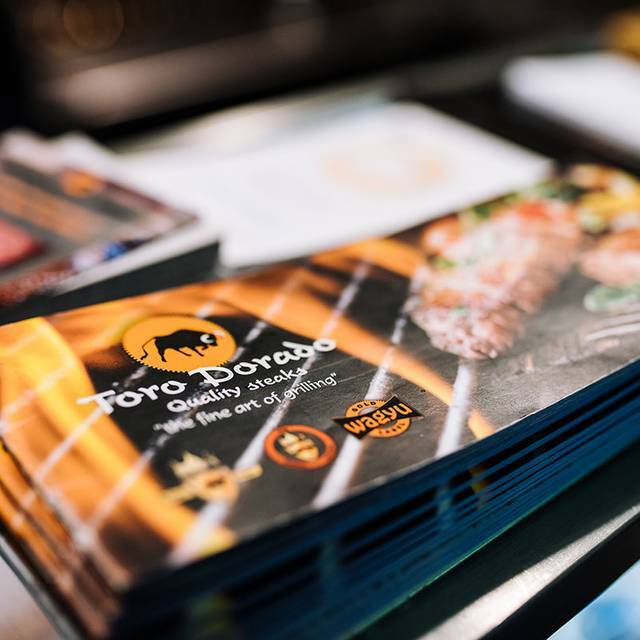 Toro Dorado is a steakhouse with both lunch and dinner service. 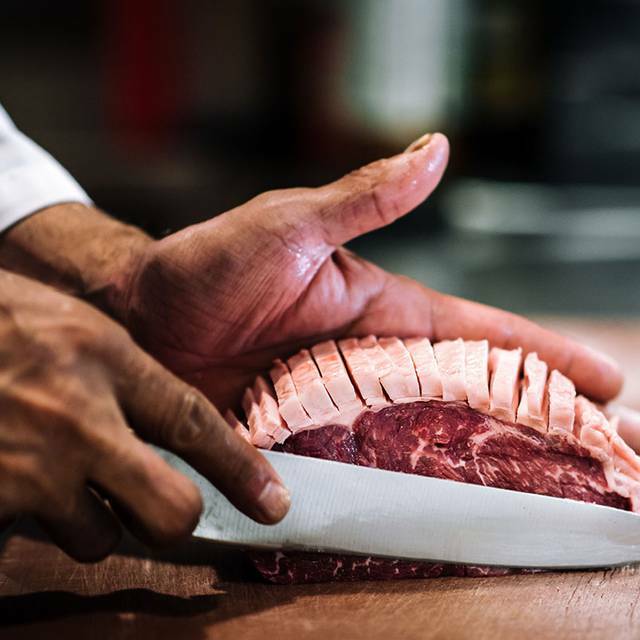 Its cuts of beef come from all over the world including Japan, Scotland, Argentina and Canada. 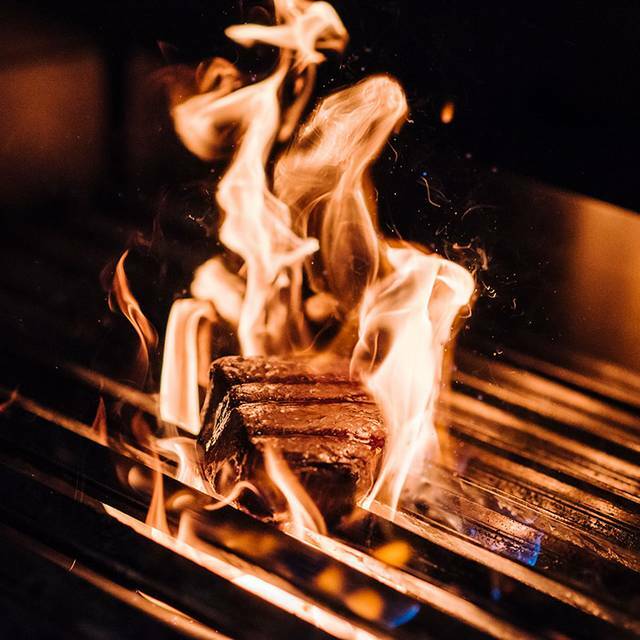 Specializing in grilled foods, its menu also features dishes with bison, seafood, burgers and chicken. Each entrée at Toro Dorado comes your choice of a side dish including French fries, spinach, asparagus or mushrooms. Toro Dorado also has a full-service bar with a wide selection of beers, wines, champagnes and spirits including vodka, rum and whiskeys. Its décor is ultra-contemporary with black leather benches, orange leather captain chairs, black chandelier lighting and double sided fireplaces. On warm, sunny days, enjoy dining outdoors on its spacious and covered patio. Toro's Triangle try-out 3 x 60 gr. "En Brochette" Fillet Mignon 4 x 50 gr. Fantastic meal all around! My family is still talking about it! 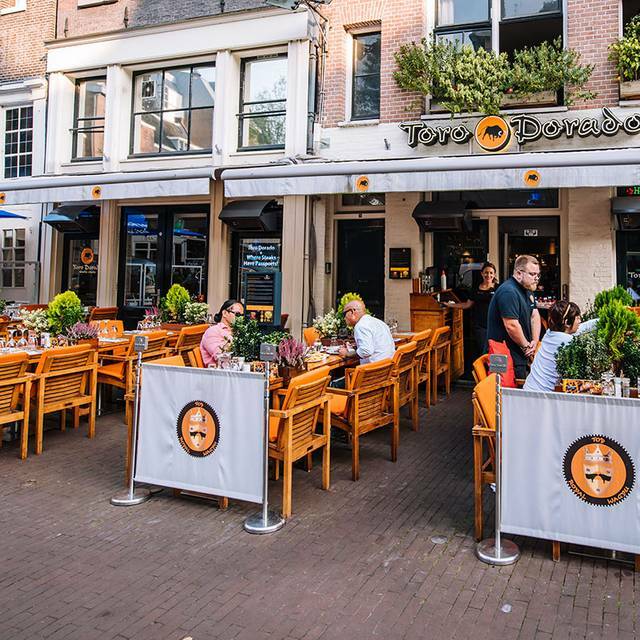 Wanted a great steak whilst in Amsterdam, this was recommended and reviews looked great. Was not disappointed at all, food was thoroughly delicious. Great friendly staff and get this they are opening a restaurant in London summer’19. Will definitely be making a reservation. The meal was delicious. The steak was excellent. The staff were pleasant and accommodating. The ribeye steak was really amazing and it’s worthy. I like it a lot. Creme brûlée was nice and they will serve it on table as you can see they fired it a bit. Waiters can speak good English and they provide kind and warm service. In the end we are surprised to get a box of chocolate from the manager or supervisor not sure, we were delighted to have it. Highly recommend. Too many tables in a small place. I basically dine with strangers. This is no place if one is looking for an intimate and relax dinner night. Quality of food is ok, but expensive. We had a rib eye and rack of lamb, done to perfection. No complaints on anything. Great food - good service. Comfortable setting. $150 for two up to triple that depending on what you order. Beautiful food, mouth waters just thinking about it! Great food at affordable prices for top quality steak. Very good service with knowledgeable staff. 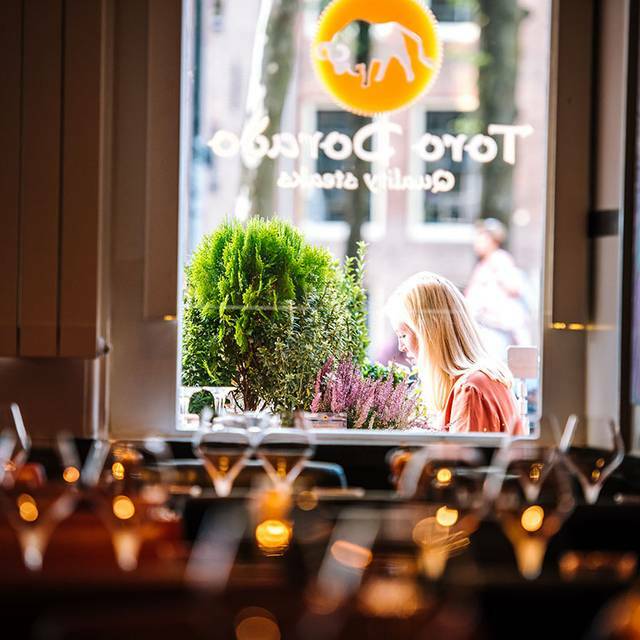 Best meal we had in Amsterdam and highly recommended. A very happy English family on a short break. The quality of the steak in this restaurant is superb. If you are a meat lover then this is definitely worth the walk. It is very centrally located and has a lovely outside seating area, which is covered and heated so works well in any weather. Service is friendly and fun, with a good mix of humour. Food was produced quickly and all parts were delicious. The food was really excellent but the service very slow. I made a reservation for 9pm and did not get to my seat until 10pm. At one point we moved to a table and another waiter had directed others to the same table. The restaurant was very noisy and crowded and pretty disorganised. I had an email afterwards about not arriving for my booking!!! The food was outstanding but the rest was average. Always come here when i visit dam the best steaks!!! We sat in the outdoor space and had a wonderful time. The steak and the lamb cutlets were divine; as was the mushroom and shallots side dish. Excellent and attentive service. Would highly recommend. Steak was tough as nails. Used to be much better than today . Very expensive for the quality of food served. Many other better options for the money. Service and friendliness of the staff was very good - very helpful, friendly and customer oriented. Great location near central station. Food excellent and plentiful. Wait staff superb. Highly recommend. Very busy and popular restaurant so had to wait 5-minutes before being seated. Food was excellent, although we ordered too much! Starters of Crab cakes and Scallops were superb. Steaks cooked to perfection. 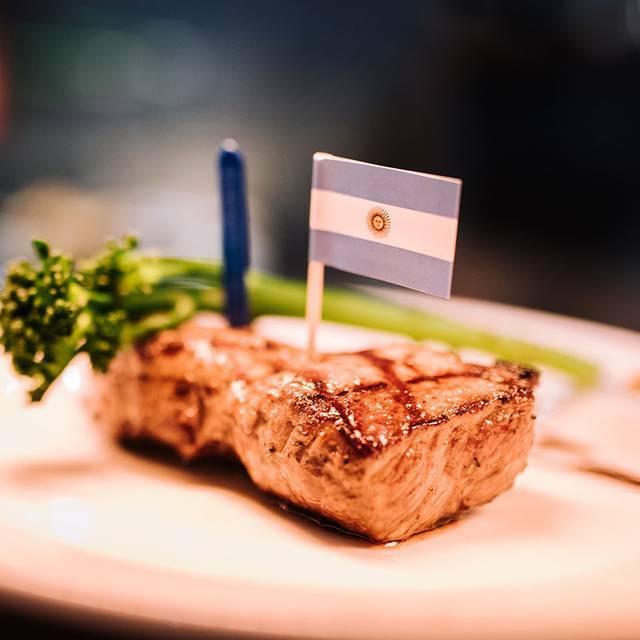 I had Canadian fillet while my wife had Argentinian. Sides were okay, although wedges and steak chips were frozen McCains, which we found strange given the quality of the rest of the meal. Our dinner came in at 180eu for 2x starters, 2x Steak mains, one cheese platter and 4x drinks. Would recommend for those looking for a good steak. One of the best steaks you’ll ever have! Trust the chef if he recommends a certain temperature for the cut! Great sides as well. Great service too! I will always spend a dinner here when I’m in town again soon. Toro Dorado is a special restaurant in Amsterdam. From the moment you open the front door, the buzz of happy people chatting hits you and you know you’re in a friendly environment. All the staff know their products and can explain your entire meal in detail and they’re not wrong! Whenever I am in this beautiful city, I definitely make a reservation here and have never had a bad meal or experience. I highly recommend making a reservation and experiencing it for yourself - It’s fantastic! 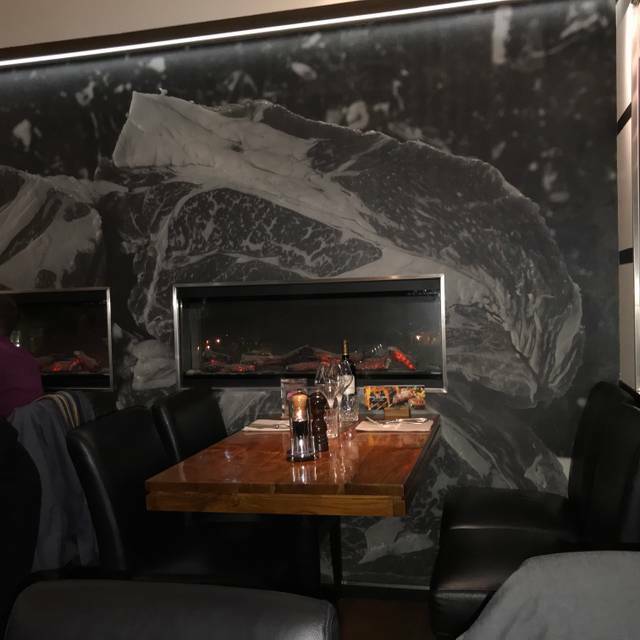 We selected this restaurant because my grandchildren wanted a steak Christmas Eve dinner, traveling from Spain and New York. The crab cakes were the best I have had ever in a restaurant and the steaks lived up to our expectations. The wine selections great, service wonderful, and the restaurant had a great Christmas spirit. Super essen und cooler Atmosphäre mit netten freundlichen Personal. Seated by the dishwasher. Felt like we were part of the kitchen staff. May have been a markedly different experience if this area was not used for patrons. Food was perfectly cooked and delicious and so fresh! Waitress seemed bored or annoyed with us. Which made it slightly less romantic for a birthday dinner abroad. But overall it was delightful for a reasonable price. Food was good, but too expensive and lousy service! 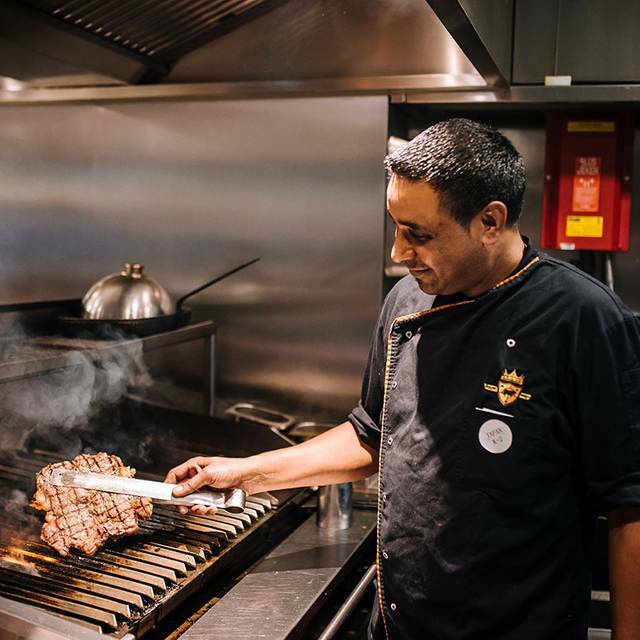 Een van de betere steakhouses waar ik ben geweest. 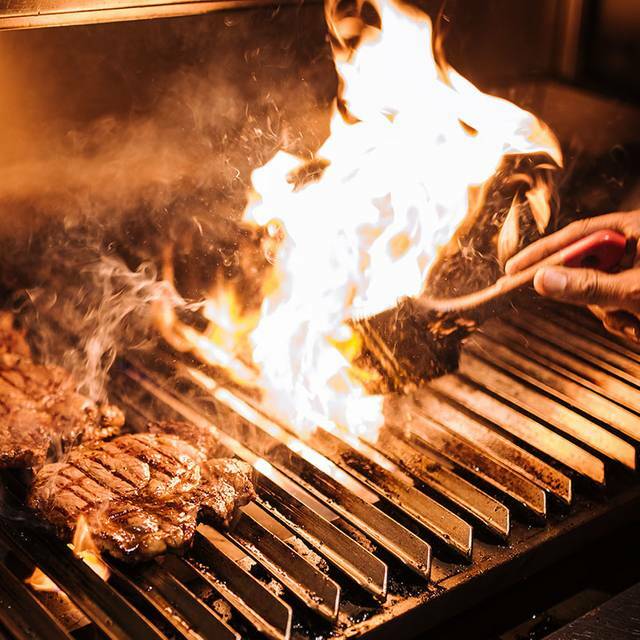 Daarbij straalt het restaurant en haar inrichting rust uit, wat een welkome afwisseling is op de 'standaard' steakhouses. Dit merk je echter wel terug in de prijzen van het eten, maar goed een goed stuk vlees mag wat kosten. Best meal in Europe! Service was also the best I've had to date...no complaints! Highly recommended for all! THANK YOU!